WILLEMSTAD - Of the current 14 traffic deaths this year, there were two pedestrians and three motorcycle riders. 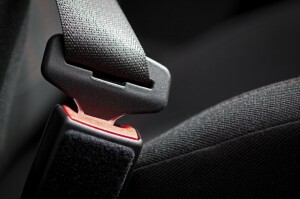 Of the 9 deceased car drivers, 8 of them did not have their seatbelt on. That is a reason for concern for the Public Prosecution (OM). Even during police checks, they find that people are not wearing their seatbelts. It is also incomprehensible that parents who love their children do not make sure that they have their seat belts on. The police will give extra attention to these irresponsible parents. In order to create more awareness and to change people’s behavior regarding this issue, the OM has decided to raise the penalty for not wearing seatbelts. From now on this will be 300 guilders.